A lot of companies prefer to outsource their software development projects to India to reduce costs and improve operational efficiencies. Many companies rely on staff augmentation model to make their processes agile and add staff as needed on a project. It allows companies to easily ramp up and down as per their requirements. However it poses some serious cost issues when companies want to continue their operations for long. Higher costs are incurred on contracted staff; they may leave the company in case timely hike is not given due to financial crunch, thus directly impacting the customers. The Offshore Development Center (ODC) model is the most strategically sound option when companies have long-term operational plans. It offers strategic partnership and collaboration; creating a mutually beneficial alliance between the vendor and the client. Let us look at some of the benefits you can avail by establishing an ODC in India and why it is a seamless extension of your IT organization! Through a well managed ODC, cost savings can be as much as 30-60% depending on the project’s characteristics, type of work and scale of ODC. You will not be required to make any upfront capital investment as the ODC vendors will provide you the infrastructure. The infrastructure will be owned by you and you will only have to pay regular installments just like EMIs. A transparent model is followed in hiring resources, where the ODC vendor helps you to set up teams with the right skills, talent and expertise. You can thus get proficient and experienced resources at competitive rates. You get the advantage of the best of the talent available in India having the required technical qualifications and expertise at cost-effective rates. They are experienced in delivering utmost-quality software solutions using the latest tools and techniques. They are abreast with the most advanced technology and have good English communication skills. You can exercise full control over the team as the developers work dedicatedly on your project. You can have your own HR policy and can ask them to work for you at your convenient time irrespective of the time zones. You have full control over the operations and processes; the project is your brainchild with no interference of the ODC vendor. You are the one planning and taking strategic decisions of the entire project. The team directly communicates with you and reports to you with no involvement of vendor in it. ODCs can help you to quicken your time-to-market by allowing for the quick mobilization of knowledgeable and skilled resources, working collectively to achieve your company’s goals. You will be working with perfectly synchronized teams that have the required knowledge and experience in industry best practices and are solely dedicated to your project. This eliminates the training needs and process iteration, helping you get a competitive advantage and resulting in shorter product lifecycles and improved return on investments. 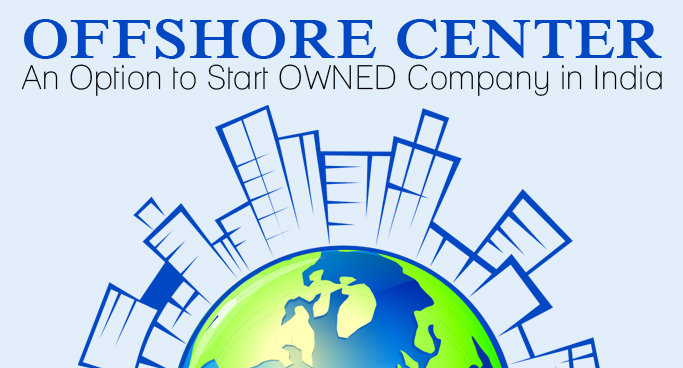 Establishing an ODC is therefore a way to start an owned company in India at cost-effective rates. ODC are best for Software Companies, Software Consultants, Start-ups, Established Companies having resource crunch or with business roadmap for products. It is a long term sustainable model to help you improve your ROI through Indian economy benefits and availability of a very large resource pool. You own the infrastructure as well as the teams that work full time on your project. This model is particularly helpful to the companies who are not aware about the government policies and regulations including the cultural diversity of India. Semaphore Software helps companies to set up an Offshore Development Center in India in the most cost-efficient manner. Our ODC is equipped with world-class infrastructural facilities, providing work environment that can accelerate the team performance and help them to stay connected through seamless communication. Semaphore has completed set up of 5 ODCs recently. Kindly get in touch with us through info@semaphore-software.com for your offshore software development requirements. We can cater to your requirements of small teams of 10 resources to large teams of 100+ resources.